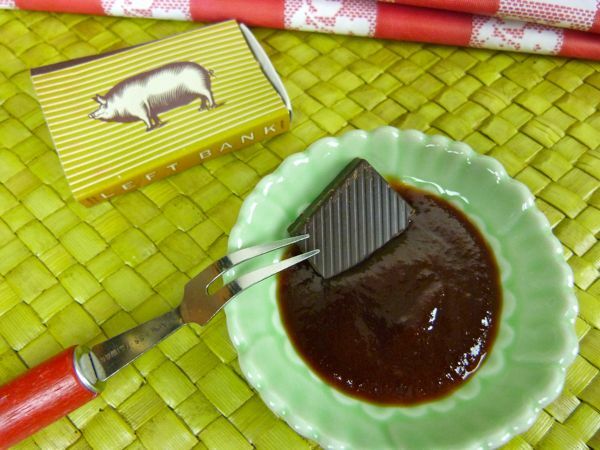 Today was Day #7 of Chocolate and Backyard Barbeque and Bacon Theme Week. Today was the 4th of July, my favorite BBQ holiday in the U.S. 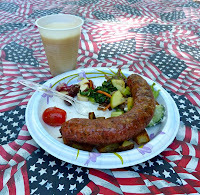 I attended the annual Palo Alto Chili cook-off held in a park within walking distance of my backyard. I tasted some great jerk chili, and some sweet, turkey chili. 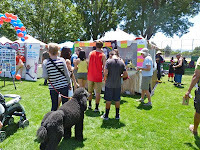 Smells of barbequed chicken and ribs and vegetables wafted through the air as dogs frolicked and rolled in the grass, and crowds waited in line for tastes of chili. Unfortunately, there was no chocolate to be found. I thought one chef might have added cacao/cocoa powder/chocolate to their chili or barbeque sauce. I'll ask again next year. I also attended a 4th of July block party that was full of happy people, happy dogs, happy children, good food. It was a beautiful summer day. Plenty of shade trees and picnic tables. 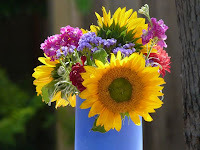 Thank you Elise. There were some great figs with goat cheese and prosciutto, but no chocolate left by the time we arrived. So, below were my two chocolate choices -- that were marginally connected with today's theme. 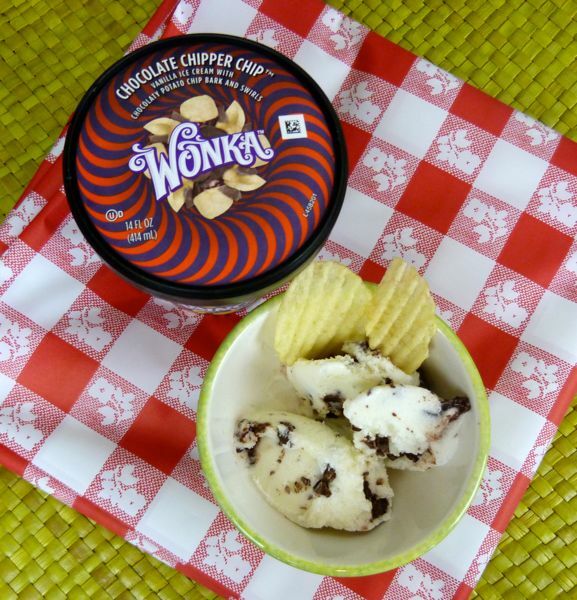 First, I scooped out a small bowl of (Nestle/Dreyer's) Wonka's Chocolate Chipper Chip ice cream (with potato chips). I garnished this ice cream with a few regular potato chips. But, the flavors didn't really liven up until I added a some hickory barbeque chips to this vanilla ice cream that was marbled with "chocolatey potato chip bark and swirls." It was a bit of a mess with the freshly crumbled BBQ chips, but the savory/salty/spicy BBQ flavors enhanced, and helped neutralize, the sweetness of the ice cream. Unfortunately, I read too late that this ice cream also contained bread crumbs -- definitely not gluten free. 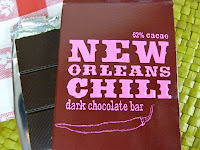 So, my second chocolate of the day was a Wild Ophelia - New Orleans Chili dark chocolate (62% cacao) bar. This bar was a well-balanced, flavorful blend. The 62% cacao was just right to complement the spices. I also mixed some of this chili bar with a tasty southern barbeque sauce, which went well with chicken, ribs and bacon burgers. Happy Summer and 4th of July to all.